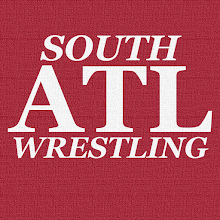 South Atlanta Wrestling: ICYMI: Week of March 27th...Mania Week! ICYMI: Week of March 27th...Mania Week! Another reasonably active week here at South Atlanta Wrestling. Here's the rundown of what all we covered. The Rock on Reigns, Lesnar, Mania 32 and more. Mattel's WWE Corporate Kane BAF set is pretty nice. My usual Raw Preview followed by my Raw Review. John Cena, Triple H, and Randy Orton at Mania 24. The Miz at Mania 27 in ATLANTA! I looked at Lesnar, Reigns, and Heyman's appearances on ESPN and where we are with Reigns and Lesnar. Norko had a Featured Match from WildSide: AJ Styles vs Jimmy Rave vs Jason Cross from '04. Next week should be interesting with the fallout of WrestleMania. I'm sure the focus will continue to be on Roman Reigns as him and his situation is one of the most interesting in wrestling right now. Feel free to contact us via the comments section or better yet here is the rest of our contact information.